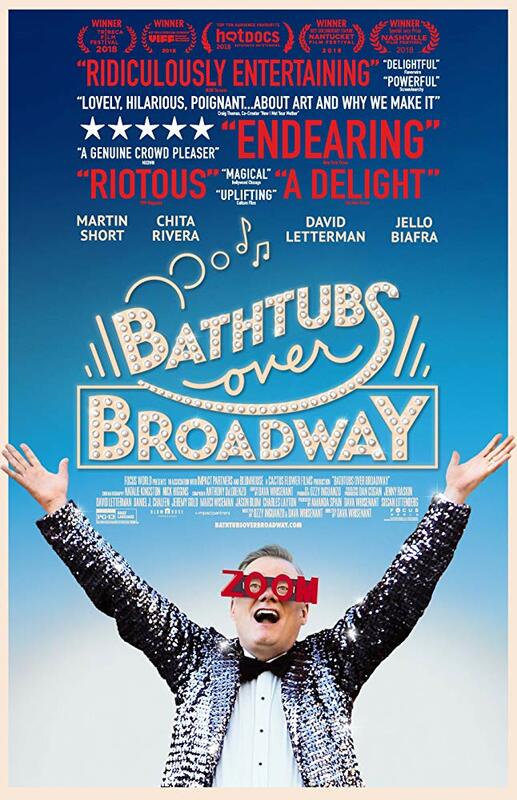 After Hours Film Society presents Bathtubs Over Broadway on Monday, May 13th at 7:30pm. Admission $6 members, $10 non-members. Follows writer Steve Young on his quest to find all he can about this hidden world. While tracking down rare albums, unseen footage, composers and performers.